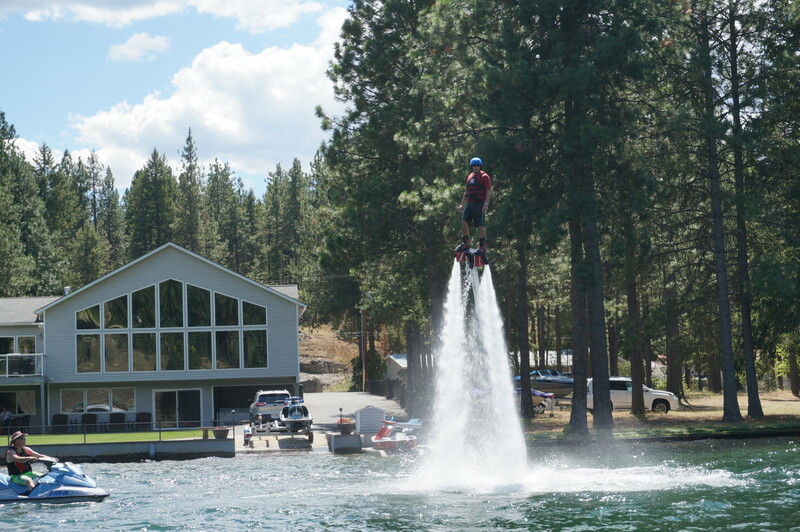 The Coolest Water Sport Ever: Flyboarding | Get Lost. Often. 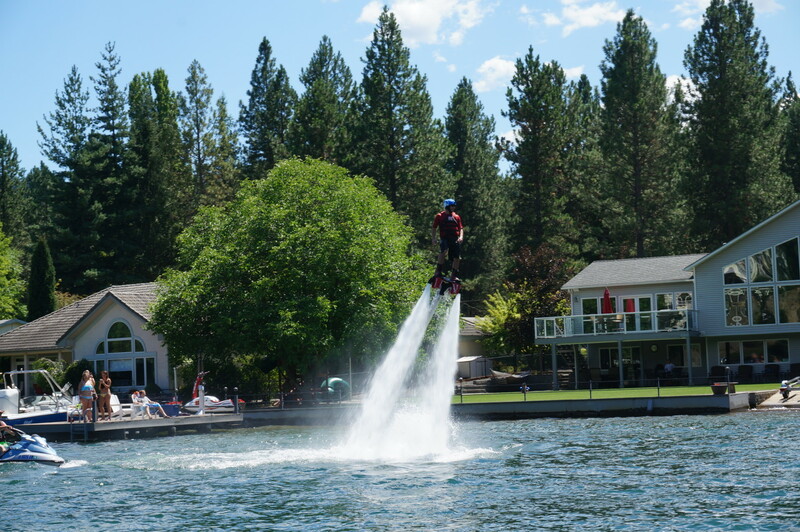 This weekend my family and I were cruising along the Spokane River, enjoying the July heat when we spotted a Flyboarder. This is by far the coolest water sport I’ve ever seen. What is a Flyboard you ask? 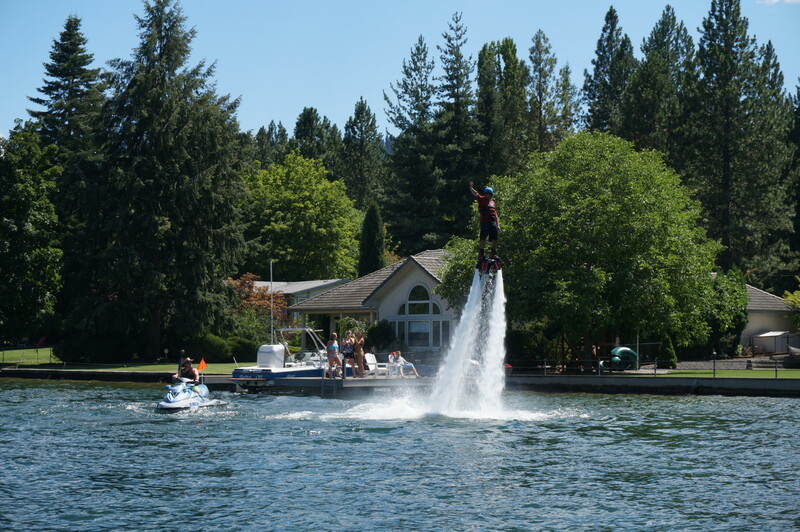 A Flyboard is basically a water jet pack attached to a personal watercraft. The watercraft actually supplies the propulsion to drive the Flyboard through both air and water. 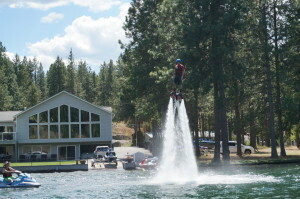 The sport is known as Flyboarding. The Flyboard rider stands on a board which is connected by a long hose to the watercraft. The 2015 model of Flyboard is selling for $5300. Plus you must have a personal watercraft making this too expensive for most people. However, this is the closest most people will ever get to feeling like Ironman or the Silver Surfer.